BoostHQ. The Knowledge Sharing Platform Your Employees Need to Succeed. Let subject matter experts share your organization's knowledge, such as PDFs and videos that employees need at work. Organize your content by Groups, Categories, and Tags. BoostHQ smart search makes content accessible for the time of need. Allow employees to share their thoughts and experiences, capturing and retaining their knowledge for future reference. BoostHQ robust analytics provides you insight into what content is being used most and who's most active in your organization. Create a centralized resource library by easily sharing useful learning material to employees through BoostHQ Knowledge Sharing Platform. Share PDF, text, images, or videos into different groups and make them accessible for later use. Build a learning community by allowing employees to share their experiences and thoughts on the content you share with them. The BoostHQ Q&A feature lets employees or subject matter experts initiate a discussion in different groups. Identify the knowledge gaps in your organization by extracting valuable reports and analytics from BoostHQ. BoostHQ knowledge sharing platform provides reports based on content and users, helping to identify the needs of your training system. Use our Google Chrome and mobile extensions to seamlessly share links and videos, right from your browser. Need More Than Knowledge Sharing? We’ve got that covered! BoostHQ is fully integrated with SkyPrep’s award-winning LMS. 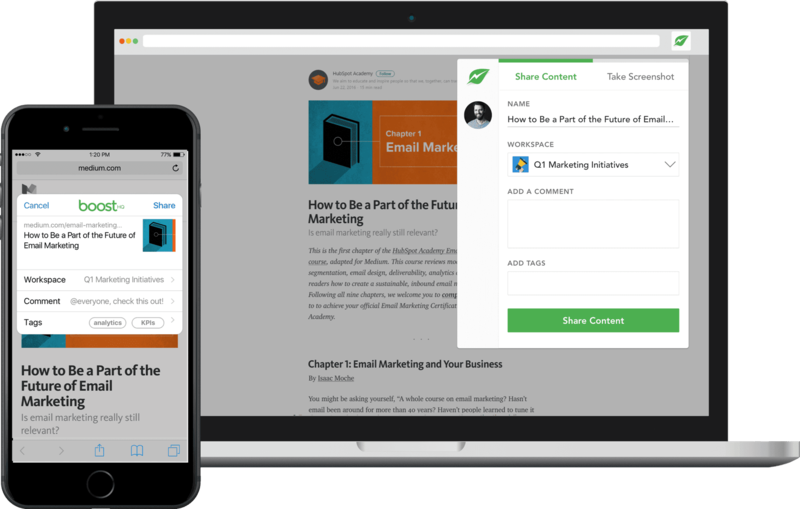 Seamlessly share content and manage users between BoostHQ and SkyPrep LMS. Request a demo to see how BoostHQ and SkyPrep work together to create a unified platform for knowledge sharing and formal training. Easily share any type of resource from anywhere with your employees. Admins can select what functionalities are available to each member of the group. You can organize your files with tagging and search to make them easily accessible. Reports and analytics provide insights on top content and users of each group. Commenting and direct chat features allow users to discuss content, feedback and experiences. Comprehension checklists can be added to pieces of content to outline key takeaways for learners. Here's How Teams Are Using BoostHQ! Drive sales and keep your representatives up to speed with BoostHQ Knowledge Sharing Platform. Let them tap into a community of feedback, peer coaching and relevant material. Service teams learn from each other. Empower your customer service team with the knowledge and coaching they need to keep your customers happy. Provide your marketers with ongoing learning and development resources to help them deal with ever-changing marketing challenges.